Our most recent purchase, we thank the our friends, the Straight Family of Logan for sharing this great young female. Sired by Wulfs Sirloin and out of the great Angels Centerfold, her pedigree is truly royal, and the amount of mass and muscle she carries is truly amazing. 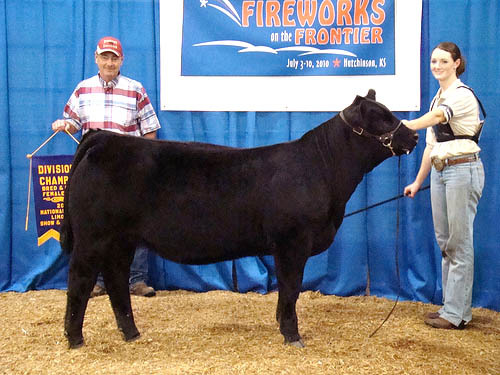 A many times champion, she is the epitome of what a Limousin female should look like and we are excited about what she can do for our program. As one veteran Limousin cattleman told us, “She sure looks like a bull momma”.